APR 17 (WTN) - As you know, the amount of the PF for the employees is of great importance. Usually, people do not know by under which rules they can withdraw the PF amount. For your information, let you know that in 8 circumstances, you can withdraw money from your PF account. Where in some circumstances you can withdraw the full amount of the PF, then in those some circumstances you can withdraw only a certain portion of the amount of the PF. Let’s tell you in which circumstances you can withdraw the amount of the PF. According to the rules, the PF account holder can withdraw the full amount of PF for the treatment of him/her self or a member of the family. The whole money of PF amount can be withdrawn any time in the condition of illness, but for this it is to give proof of hospitalization for a month or more. Also, for this time, the employee has to give the approval certificate. 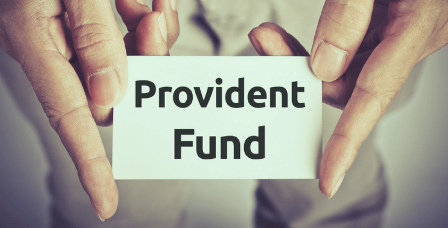 In order to take medical treatment from the PF funds, the concerned person has to give a certificate of approval by the employer or through ESI. The PF account holder can withdraw the PF amount for the marriage of own or of his/her own siblings or for the marriage of the children. Apart from this, there is a provision of withdrawing the amount of the PF for own studies or even for children's education. But for this at least 7 years of job is necessary and only after proof of marriage or education, money can be withdrawn from the PF account. To withdraw funds from the PF account for the education, applicants have to apply under Form 31. Under this, till the date of withdrawal of PF, the total deposits can be deducted 50% of the PF amount. Any person can use PF for the education only three times in entire job. You can withdraw money from your PF account to build a house or buy a home, but for this you have to complete five years of your job. Under this, any person can withdraw PF amount up to 36 times to the salary and that too only once. At least 10 years of service should be completed to withdraw money from the PF for repayment of home loan. Under this, any person can withdraw 36 times PF amount from the salary. Under this rule, only PF funds can be withdrawn once in the entire job. Five years of job should be completed to withdraw the PF amount for buying a plot. Plot should be registered on your name, your spouse and then both. Plot or property should not be disputed in any way and there should be no legal action on it. To buy a plot, any person can withdraw the PF amount up to 24 times to the salary, but only once. You can also withdraw money from the PF account for home repair, but for this you have to complete five years of your job. Under this rule, a person can withdraw the money from the PF account up to 12 times to the salary, but only once. Under pre-retirement rule, anyone can withdraw up to 90 percent of the PF balance, but for this the employee should be 54 years old. This amount can be taken out only once in the entire job.